With the warmer weather finally here, it’s the season to enjoy Niagara Falls and the beauty of this natural phenomenon. Hornblower Niagara Cruises is Canada’s only falls boat tour and a unique way to experience this iconic Canadian landmark. Choose from the many different cruise options as they take you through a fascinating tour of the falls. Take a look below for an idea of some of the tour options available when Hornblower Niagara Cruises begins operations this spring. If you’re looking for the classic tour of Niagara Falls, this is it. 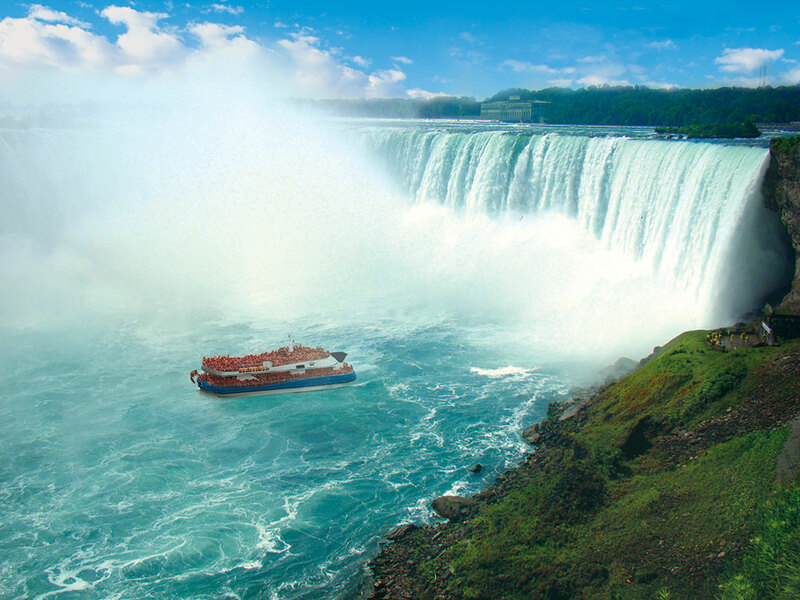 This up close look at the thundering waters lets you see the American Falls, Bridal Veil Falls and the Horseshoe Falls from the comfort of the tour boat. This evening cruise option takes place during the illumination of the Horseshoe Falls, which takes place every night. Sip a glass of wine on the tour boat while seeing the falls lit up in a rainbow of different colours on this must do experience. If you want more action than the illumination, the fireworks display will brighten the sky and the Falls with this one-of-a-kind cruise. You can watch Canada’s longest running fireworks series while cruising the river far below. With only a few chances to see this, don’t miss out on your next visit to Niagara Falls.